My resume (if I had one) would include these job titles: Reporter on Mundane Wonders, Alleyway Wanderer and Crow Paparazzo. Since receiving my first camera in 1962, I’ve spent many, many hours looking at the everyday world through a lens. A full-time artist since 2006, I’ve been selling my work at local Vancouver galleries and markets and online since then. Born in the north of England, I grew up in an ultra-urban environment. We lived in a flat right under the Tyne Bridge (visualize the label on Newcastle Brown Ale). The rusting leftovers of the industrial revolution and fragments of the Roman Wall were my fabulous playgrounds. We didn’t have a garden, but my mother was always helping me to examine the eclectic bits of nature that we came across on our walks. After high school I studied at Bangor University in North Wales, specializing in Anglo-Saxon poetry then, in my early twenties, I made the big move to northern BC. I hand-built a cabin miles from the nearest human neighbours and worked as a tree planter for several years. By the 1980’s I had found a happy medium, living in Vancouver, studying art, working in graphic design and raising children (Lily and Ian) with my husband, Phillip. My studio is located in my garden behind my house in East Vancouver. I am lucky to have my daughter, Lily (an accomplished photographer in her own right) as an employee. Edgar (our cat) would hardly consider himself an employee (rather the reverse) but he is an invaluable asset in modelling a deeply relaxed approach to life. My work has been shown in several individual and group shows in Canada and the UK, featured in print (Style at Home, House and Home, Where Vancouver) and on radio (CBC’s North by Northwest) and TV (CBC’s Living Vancouver). My art and jewellery are sold at galleries in Vancouver and elsewhere in BC. Visit Retail Outlets for a full list of shops and galleries. 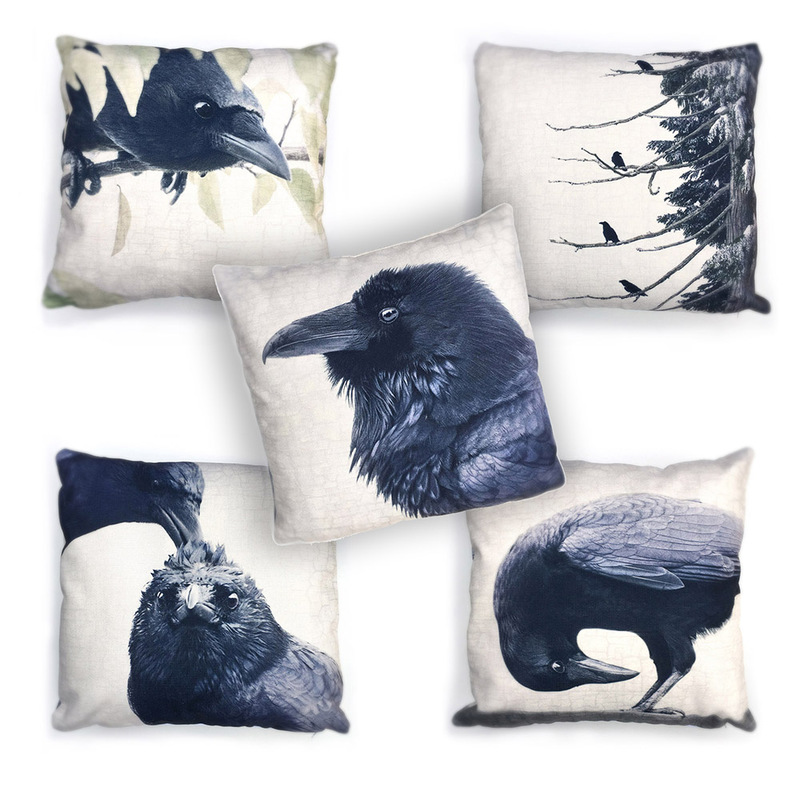 I’m a crow enthusiast myself… love your work! I make medicine bags and need crow feathers that have fallen and would derived gbif you know of a good place in vancou er to collect them? Dear Anna, I’d say the best place in Vancouver would be near the Still Creek roost. The grass on Still Creek Rd between Gilmour and Willingdon is a good spot. When they’re melting in late summer it’s carpeted with crow feathers, but usually a few all year round. Thanks so much. Glad you enjoyed the blog. I was hoping to get some gardening done this long weekend, but we’ll have to see how much rain pours down. It’s also so darned cold for the time of year. I was just out this morning looking for (and catching a glimpse of) a pair of visiting ruby crowned kinglets – but needed a sweater and down jacket to avoid hypothermia. Sheesh. I had two crows that stayed with me for five years. Suddenly one day, there were two more (their babies I’m sure). My original two crows then left and the two other crows stayed. They never fought so it was never a territorial thing. Now, my two new crows (I say new but they’ve been here two years) have two crows with them and I’ve seen them feeding them (so I’m assuming they are their babies); in your experience, do the parents leave the babies to effectively take the land? Or do they all stay together? I don’t want to loose my other two crows too!